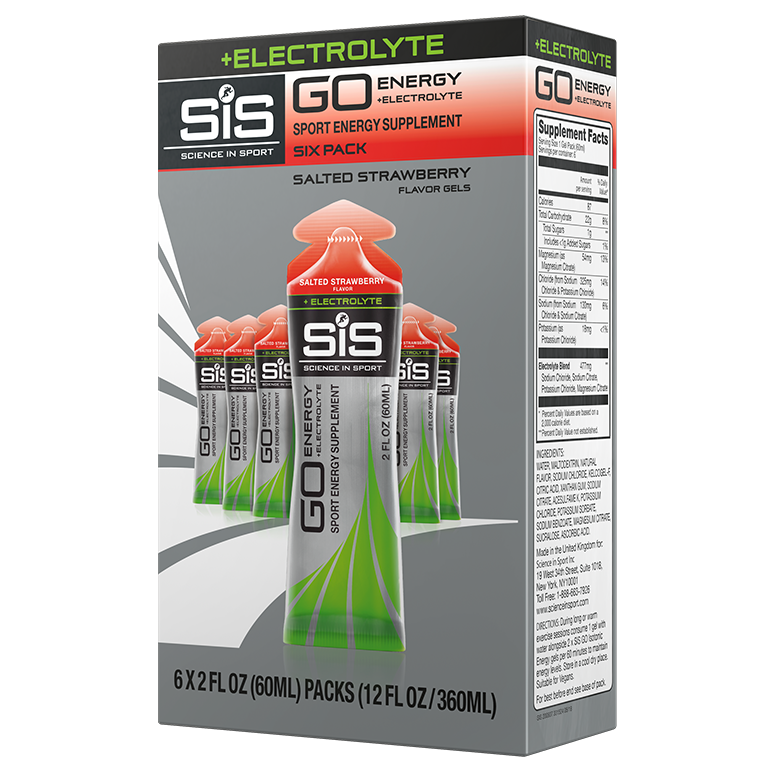 Salted Strawberry flavor energy gels with added electrolytes to aid hydration - 6 pack. 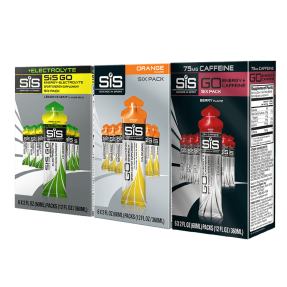 The SiS GO Energy + Electrolyte gel builds on the established science of the SiS GO Isotonic Energy gel, the world’s first and only truly isotonic energy gel. Very tasty. Keeps you on the sharp end during your workout. Thumbs up baby! Good product. The taste is very good. AWESOME Flavor ! Will order this flavor on next shipment. I like this one. It tastes like you would expect. I'm a big fan of these gels. You don't need water. Smooth texture and consistency makes these easy to drink/eat while on a run or bike ride. Flavor is good too! Great, love to count on this type of gels when I need it! Boom! Combination energy, caffeine, and electrolyte in one gel is a win!! Tastes great, even when warm!